Three Shires Hospital in Northampton is part of BMI Healthcare, Britain's leading provider of independent healthcare with nearly fifty hospitals nationwide performing more complex surgery than any other private healthcare provider in the country. A commitment is given to quality and value, providing facilities for advanced surgical procedures together with friendly, professional care. 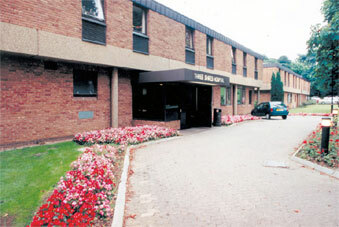 Three Shires Hospital has 50 beds with all rooms offering the privacy and comfort of en-suite facilities, satellite TV and telephone. The hospital has three theatres, two of which provide laminar flow for jopint replacement surgery, an endoscopy and minor procedures room and a four bed high dependency unit. These facilities combined with the latest in technology and on-site support services, enable the consultants to undertake a wide range of procedures from routine investigations to complex surgery. This specialist expertise is supported by caring and professional medical staff, with dedicated nursing teams and a Resident Medical Officer on duty 24 hours a day, providing care within a friendly and comfortable environment. Simon West is a Consultant Orthopaedic Surgeon available at Three Shires Hospital for private surgery. Appointments can be made for consultations via his secretary, Michele Gilbert on 01604885009.